Today’s batch of file additions for NBA 2K19 PC includes faces, rosters, and shoes. Download all of the latest releases at the links below! Episode #279 of the NLSC Podcast is out now! Arcane and I are your hosts this week, and we’re debuting a revamped format. As I previously noted, we’re looking to focus on one main discussion topic per episode, following a brief round-up of any news and community announcements. We’re hoping that this will also allow us to conduct more interviews, and produce other special features. We’re tipping off the revamped NLSC Podcast with a quick recap of Patch 1.23 for NBA Live 19 and Patch 1.09 for NBA 2K19, before getting into this week’s topic: the problems with 2K Pro-Am, and how we’d fix them. 2K Pro-Am is a mode that we’ve played a lot these past few years, and frequently talked about on the show. We’ve had a lot of fun with it, but we’ve also endured several frustrating sessions, due in large part to changes that have not always been for the better. 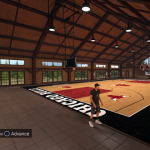 After identifying the most pressing issues with 2K Pro-Am, we suggest a few possible solutions that we’d like to see implemented in NBA 2K20 and beyond. 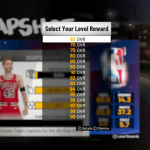 What are your thoughts on 2K Pro-Am, and how would you improve it? Sound off in the comments section below, or join in the discussion here in the Forum! Additionally, feel free to hit us up with any feedback on the episode, as well as suggestions for topics that you’d like to hear us discuss in future episodes. For more information on the NLSC Podcast including episode guides, check out this page in our Wiki. Today’s file additions for NBA 2K19 include the latest face, shoe, and roster updates. Check them all out at the links below! 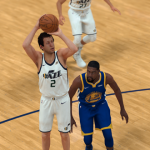 Pick up a couple of face updates for Jimmer Fredette and D.J.Wilson in today’s NBA 2K19 PC file additions! Patch 1.09 is out now for NBA 2K19. It’s currently available for PlayStation 4 and Xbox One, with the PC and Switch patches coming soon. As with all official patches, it should come through automatically; if it doesn’t, try restarting your console, or checking for it manually. The removal of pushing in Neighborhood games. A fix for the hang that some users have reported seeing in the Start Today game mode when attempting to advance past March 20th on the calendar. 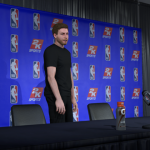 You can check out the full update history for NBA 2K19 here in our Wiki. I’ll post an update once the PC patch drops, but in the meantime, feel free to share any thoughts in the comments section below, as well as in this topic in the NLSC Forum. Our community has some new NBA 2K19 PC mods for you today. 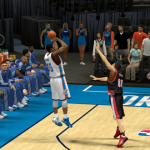 The latest file additions include player faces, fictional jerseys, updated rosters, and new shoes. Check them all out at the links below! The latest assortment of file additions for NBA 2K19 PC includes player faces, a new global, and a court update for the Brooklyn Nets. Check them all out at the links below! The latest file additions for NBA 2K19 PC include player updates, shoes, and rosters. Check them all out at the links below! 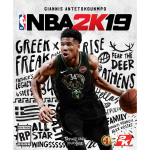 The latest file additions for NBA 2K19 PC include an update for the Dallas Mavericks’ arena and court, and a new face and body model for cover player Giannis Antetokounmpo. Pick them up at the links below!